In February of 2017, the check-cashing industry petitioned the Illinois Department of Financial and Professional Regulation to increase the maximum rate currency exchanges can charge to cash a check in Illinois. Woodstock Institute analyzed income data from 2007 -- the last year in which check-cashing rates were increased -- through 2016 to determine to what degree Illinois households could absorb this increase. 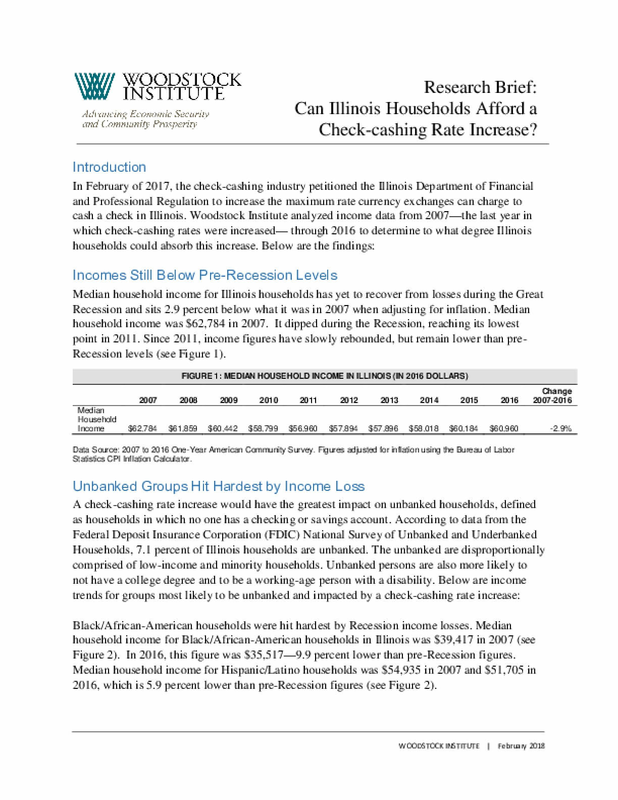 Title: Research Brief: Can Illinois Households Afford a Check-cashing Rate Increase?